Processing and manufacturing industry has started to show signs of slowdown as the industry’s potential is too weak and it lacks of strong-enough mechanism to boost development. The latest figures showed that in the first quarter of this year processing and manufacturing industry failed to post a strong growth as it did in the same period last year and signaled downward tendency. Particularly, industrial production index in the first quarter of this year estimated to increase by 9.2 percent over the same period last year, much lower than a growth of 12.7 percent in the first quarter of last year. Of which, processing and manufacturing continued to play the key role in the development of the whole industry with a growth of 11.1 percent whereas it rose 15.7 percent in the first quarter of last year. Processing and manufacturing inventory index was estimated to climb 15.6 percent by March 31 this year, much higher than an increase of 13.5 percent in the same period last year. In fact, shortcomings of processing and manufacturing industry have been identified and analyzed for a long time but until now no effective solution has been drawn out in order to boost sustainable growth. Of which, the critical weakness that has been hindering the development of processing and manufacturing industry is supporting industries which are unable to develop and even extremely ailing, leading to industrial products of Vietnam to depend mainly on import. High import proportion in materials and fuels, especially raw materials, showed that the industry remained a processing industry, largely relying on foreign suppliers, causing disadvantages to the economy every time global prices change, increasing domestic production expenses and weakening competitiveness of export products, said the representative of Industry Agency under the Ministry of Industry and Trade. Besides, production efficiency of mechanical sector is still low. Designing and manufacturing level is not good enough to actively produce many high-value and high-tech products so as to meet market demand. Industrial production has not participated much in the global production and value chain, especially in the manufacturing industries for export, including garments, textiles and footwear. According to Mr. Dao Phan Long, chairman of the Vietnam Association of Mechanical Industry, mechanism and policy of the Government could not provide sufficient conditions to encourage the development and market protection for domestic firms. Meanwhile, a shortage of capital is the main reason that has made several businesses to suffer difficulties. The highest margin of Vietnamese mechanical enterprises merely touches an average of 3-5 percent per annum but the current interest rates are two to three times higher than margin levels. Therefore, firms dare not to borrow money because they will definitely suffer losses if they do that. In addition, mechanical firms, as a matter of fact, are weak in technology, business administration and production management but they are under control of various ministries and industries so they lack of cooperation in business. Limited capital source and financial barrier have not allowed firms to receive high-value technology. Moreover, when approaching new technology, small and medium sized enterprises find it difficult to assess the quality of that technology to make suitable investment decision. Therefore, besides the desire to access the capital to help them upgrade technology, firms also hope to receive support in approaching and transferring technology. The association proposed the Government to revise and supplement suitable mechanism and policy amid global economic integration to seek a way out for the development of processing and manufacturing industry. As for state-invested projects, it is essential to study the mechanism and policy for domestic firms to participate and receive orders. At the same time, the value-added tax and corporate income tax laws should be revised to below 15 percent in order that firms will be able to uphold their capital to invest further. 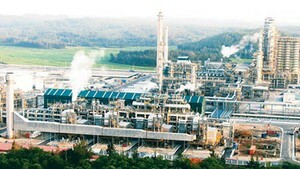 At the latest meeting, deputy minister Hoang Quoc Vuong of the Ministry of Industry and Trade pledged that in the near future the ministry will collaborate with relevant units to study a preferential credit package for priority industrial industries, including supporting industries to improve competitiveness and added-value for industrial products. At the same time, international cooperation should be promoted to enhance the level of Vietnamese firms and connection to global value chain. The ministry is also making plan to effectively implement science and technology development, of which it is in the process to build the roadmap to increase localization ratio of products made by firms and multinational corporations investing and producing in Vietnam. Especially, application of information technology and automation achievements of the Fourth Industrial Revolution should be focused to boost production capacity and reduce cost prices. Coordination and information sharing among ministries in researching, applying and renovating technology should be strengthened so that more processing and manufacturing firms will be able to access the National Technology Innovation Fund as well as more research work will be applied in reality. Along with the Government’s support, experts said that processing and manufacturing firms have to evaluate their capacities themselves, choose suitable customers and promote marketing to look for new customers. Although most of them are small and medium sized enterprises, they still need to improve management, productivity and quality and lower cost prices to increase competitiveness.